NOAA : How do we make nautical charts? 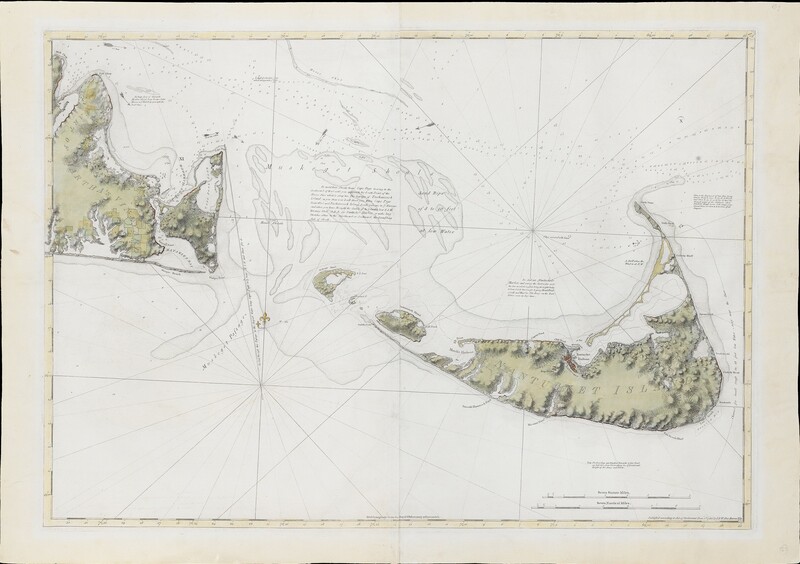 Given what we know about the (extensive) erosion along the Atlantic side of Cape Cod, it's surprising how little change there is on Nantucket. 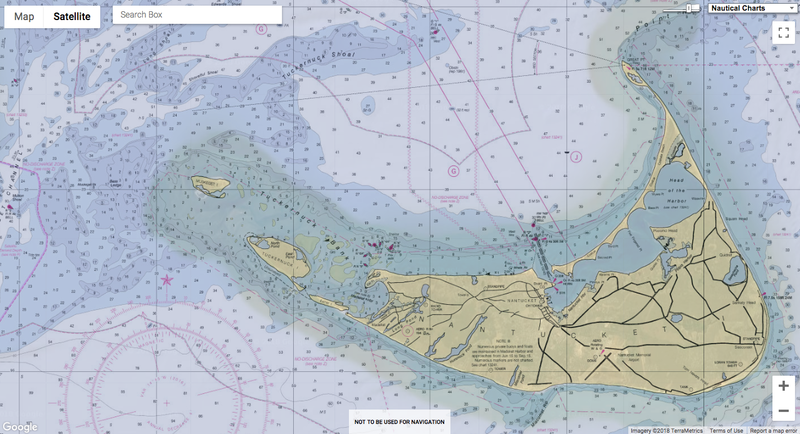 Only the westernmost spit, and the reverse-D shaped island between Nantucket and Martha's Vineyard, seems to have eroded away. The most ubiquitous way that the world intersects with the geospatial domain is through location-enabling technologies such as GPS and other GNSS that power and support transportation, communication, and logistics around the globe. This component of our invisible infrastructure is deeply embedded into our daily lives in ways we usually don’t think about, apart from when we expect our ability to navigate to be accurate and instantaneously available. Undermining the systems’ reliability? Messing with the GPS? Them’s fightin’ words. Still, it’s happening and more frequently. The 30 or so GPS satellites themselves are not as vulnerable to disruption as the signals that they send out and the units that receive them. For instance, it might seem like a nice idea to create a quiet zone by having incoming calls, messages, and Wi-Fi blocked in an area, but jamming these signals puts many other systems – like GPS – at collateral risk. It’s illegal to own, sell, or use a GPS jammer in the United States but that’s not so in many other places. The devices themselves are produced in large quantities in China and elsewhere, and their low cost (about $100 or less) makes them even more tempting for malfeasants. Where there’s a will, there’s a way for people to acquire and use these. 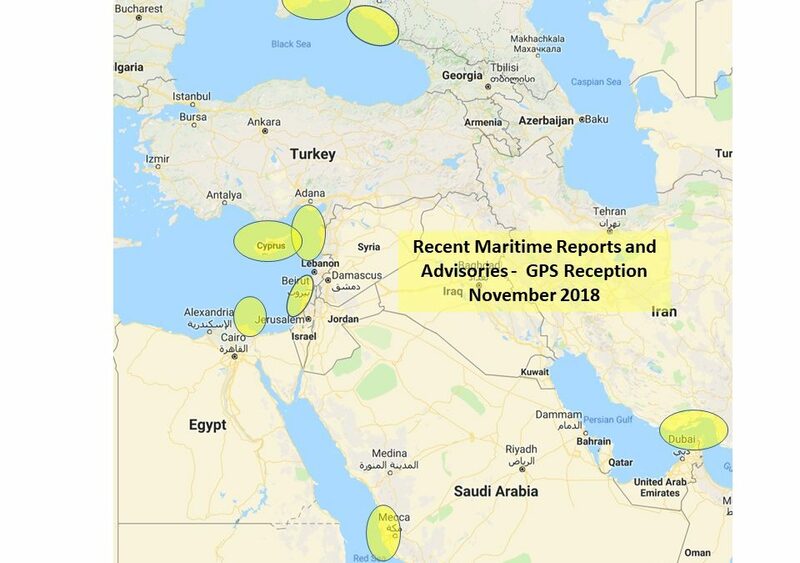 Maritime GPS disruptions have been reported elsewhere, but seem to be particularly common in this part of the world. Electronic navigation signals from the Saudi Arabian Loran-C system and the Russian Chayka/Loran-C system are available for use across most of this region. 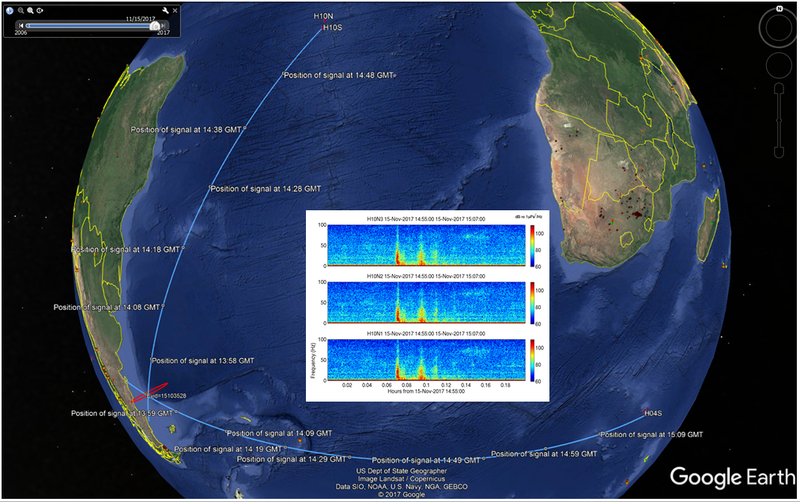 Jamming signals is the simple, but less elegant, approach to GPS signal disruption. Its more complicated and more sophisticated cousin, GPS spoofing, is also becoming more accessible, both technically and financially. Spoofing works by sending fake signals to a GPS receiver that mimic the ones that the real satellites send. Weak signal strength of these false ones was a problem in the past, but new technologies have allowed the signals to become strong enough – and more similar to the real ones – that it is possible to have the receiver begin to follow the false ones over the real ones. Todd Humphries, an engineering professor at the University of Texas at Austin, explains it well in his 2012 TEDx presentation. In the video he shares footage of how he has made the little blinking blue dot on his cell phone’s map – the universal icon for the “you are here” symbol – start to drift blocks away from his home location where he and his phone are actually sitting still. Since then, he and his research team have done more than these simple at-home demonstrations. In 2013, they tested their spoofing technologies on a 200-foot yacht in the Mediterranean (with the full cooperation and awareness of the ship’s crew) and digitally manipulated the ship to adjust its directional course as a “correction” that was in fact a complete misdirection. The ship’s autopilot simply followed its own protocols to make the adjustment, without any awareness that the incoming signals were bogus. suggest that Russia may be testing a new system for spoofing GPS. Larger ships are just as vulnerable to these manipulations. 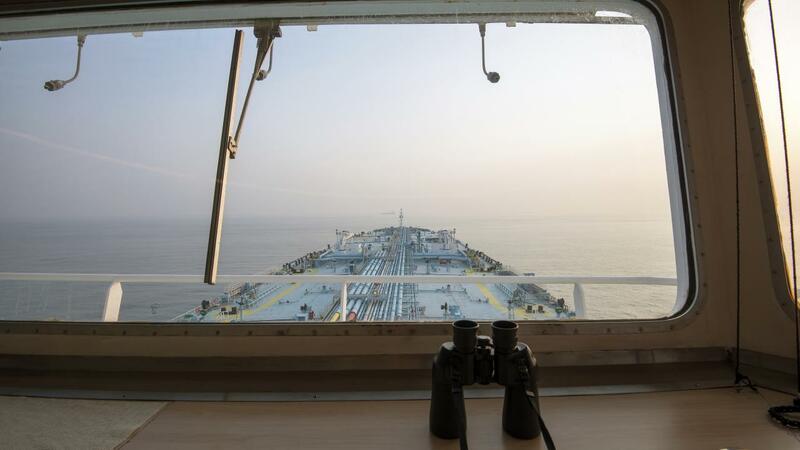 In 2017, a tanker ship in the Black Sea had its navigational system indicate that it was suddenly in a completely different and improbable location: at an airport 30 kilometers away from its actual location at sea. All together about 20 ships were affected by this temporary attack, which is now believed to have been Russians experimenting with new approaches to cybersecurity breaches. GPS signals are regularly jammed in areas immediately around the Kremlin in Moscow, but this Black Sea trouble was the largest real and successful spoofing effort known to date. Some GPS spoofers have more innocuous intentions, such as those who would try to fool their fellow Pokémon GO players by faking movements. But really, there are more ways to cause harm than good with these abilities. Virginia Tech’s Curtis Zeng and his colleagues have managed to further lower the barriers by creating a successful spoofing system that costs only a few hundred dollars. With this inexpensive system in place, they were able to insert manipulated, false signals into navigational routes that were being followed by volunteers in a simulated driving situation. The attacker does not change the original destination, but instead manipulates the user's real-time location (now a “ghost” location) on the map. The navigation system will recalculate a fake virtual route from the ghost location to the original destination, one that would be physically feasible for the user to travel in the real world. Ideally, this would not trigger the telltale "re-calculating" warning, depending on whether the ghost location is on or off the original navigation route. Drivers continue to follow the navigation instructions, but now they are actually on a new route that the attackers planned. Even more tricky is that Zeng and his colleagues managed to swap in false map layouts to further keep the drivers in the dark. With these “ghost” maps in place, almost all of the drivers in this study naively continued to follow directions that had been tweaked to arrive at false destinations. According to Zeng, “Users tend to heavily rely on navigation systems in unfamiliar areas rather than learning the map and planning routes ahead in an old-fashioned way. It is (already) hard for them to drive, follow navigation instructions, and cross-check the surrounding environment at the same time. Moreover, few users understand how navigation systems work and how hackers can manipulate them. Tech-smart people are figuring out how to do this for nefarious reasons and other tech-smart people are working to stop them, or at least give us more chances for better outcomes. A group of Irish electrical engineers recently documented the ways in which they could successfully achieve multi-frequency spoofed GPS signals with inexpensive and readily available equipment, to show that it could be done (multi-frequency had been thought unachievable) and to continue to keep the conversations active. Overestimating and underestimating the capacities of the adversaries are both counterproductive activities. Efforts with multiple strategies and tactics are underway by researchers, the public sector, and the federal government to combat the problems. What several of these have in common is that they’re working to have the overall system of navigation be less reliant on GPS signals and their related time stamps alone. Those atomic-clock-enabled time stamps are considered so reliable that they are counted on for countless processes. At Clemson University, engineers are experimenting with a technique that regularly samples real GPS signals and tags those signals in a way that confirms their validity. Other users’ devices can automatically compare the ones issued by Clemson with the ones that their devices are collecting. This isn’t stopping spoofing from happening, but it is making the end user aware if their signals are being compromised. Meanwhile, other researchers are taking it a step further and developing ways to correct the compromised signals. Other approaches being pursued by private companies involve having navigational systems ready to receive signals from alternative sensors, such as mobile phone networks or commercial satellites, when it is detected that the GPS signals have irregularities. These diverse strategies may not seem coordinated, but one organization that is staying on top of the problem is the Resilient Navigation and Timing Foundation, a group that is involved with the situation on many global fronts. We’re confronted with jamming and spoofing that can be accomplished successfully by small-time actors building cheap contraptions in their basements, and larger actors, with deeper pockets and expertise, that may be working on behalf of foreign governments. Really, it’s all part of a bigger problem: that the whole GPS system has too few redundancies and too many potential leaks that can be compromised too readily. 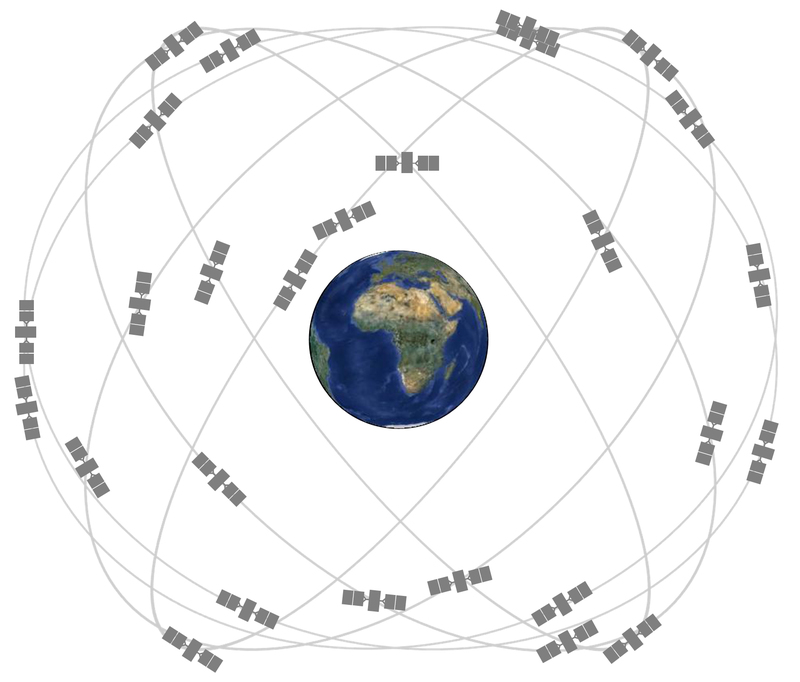 One path being pursued is simply to have more GPS satellites be part of the collection as quickly as possible, and to produce new receivers designed with as many cybersecurity countermeasures as possible. We celebrate the open GPS system that provides us with such novel and independent ways to leverage location-based goods and services, but it’s clearly been a mixed blessing. You may think of a warship as a vessel that sails the Seven Seas, bristling with missiles and guns, ready to deal out death and destruction to Her Majesty's enemies. In fact, warships do many other jobs too – such as HMS Enterprise's routine but vital task of seabed surveying. Your correspondent spent most of last week aboard the Enterprise, boldly going from Kristiansund to Trondheim via the Arctic Circle. I was welcomed aboard by the ship's captain, Commander Phil Harper, a veteran sailor with 28 years of Royal Navy service. Cdr Harper was proud to tell me what his ship does: seabed survey. This means sailing around designated parts of the world's oceans and using different types of sonar to find out how deep it is and precisely what lies beneath. "It needs constant updating," said Cdr Harper, referring to the maritime charts that tell seafarers where they are and how deep the water is underneath their ships. "Just 10 per cent of the world's oceans have been surveyed." Much like the way a hiker will have a map of the area he intends to walk over, complete with contour lines and points of interest marked on the map, seafarers also need similar maps, or charts. Modern technology hasn't advanced too far beyond the age-old concept of sending a ship and her crew out to survey a particular part of the sea. 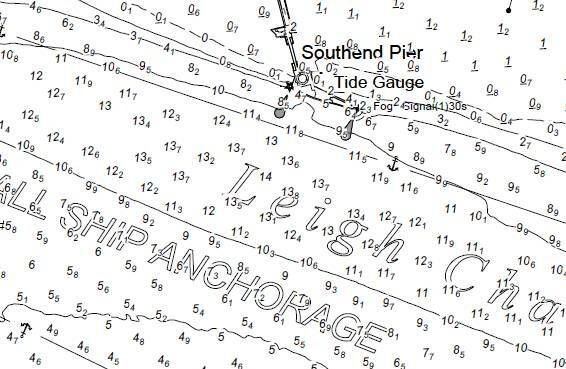 A sample of a British nautical chart, in this case prepared by the Port of London Authority for the area covering Southend Pier. The big numbers are depth in metres; the small ones decimetres (tens of centimetres). Contour lines are drawn on at intervals. On UKHO charts, colours are used for different contours to aid depth perception. 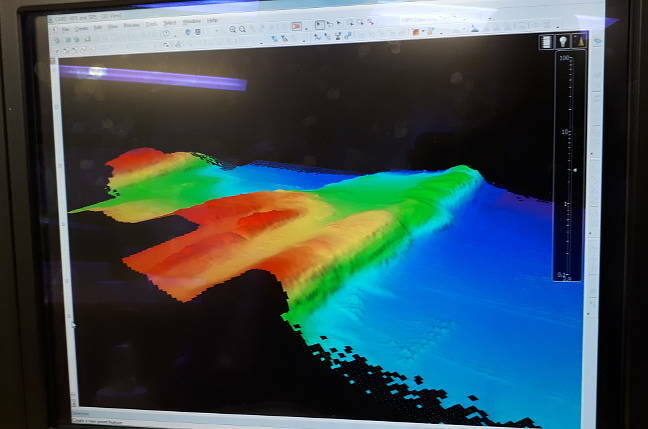 During a comprehensive tour of Enterprise's survey data processing gear, one of her hydrographers, Petty Officer Adam Coleman-Smith, explained: "The Hydrographic Office (UKHO) develops the ship's tasking, the areas she goes to." 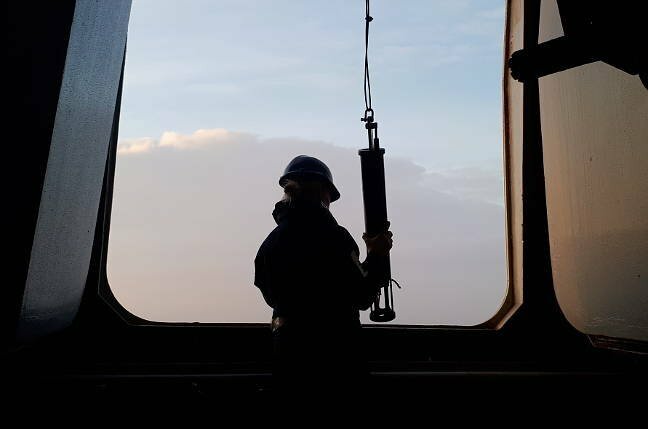 Broadly speaking, the British government's maritime charting agency, the UKHO, tells the Navy's three-strong survey fleet what parts of the world's oceans need surveying. Along with her sister ship HMS Echo and the new inshore survey vessel HMS Magpie, the ship is equipped to scan the seabed and generate reams of data that the UKHO turns into its famous Admiralty charts. Enterprise herself carries a Kongsberg EM-710 multibeam sonar, capable, as PO Coleman-Smith described, of putting out 254 separate sonar beams to scan the seabed. 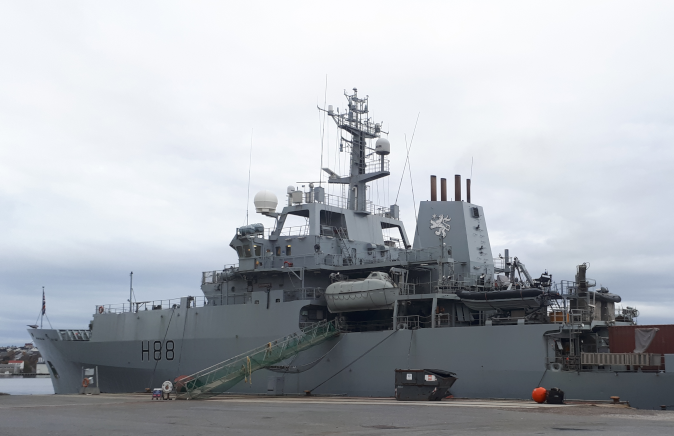 Unlike her sister ships in the Navy's mine-sweeping flotilla, which also use sonar for detecting items under water, PO Coleman-Smith said: "Whereas the minehunters are looking for object detection, we're looking at safe navigation." 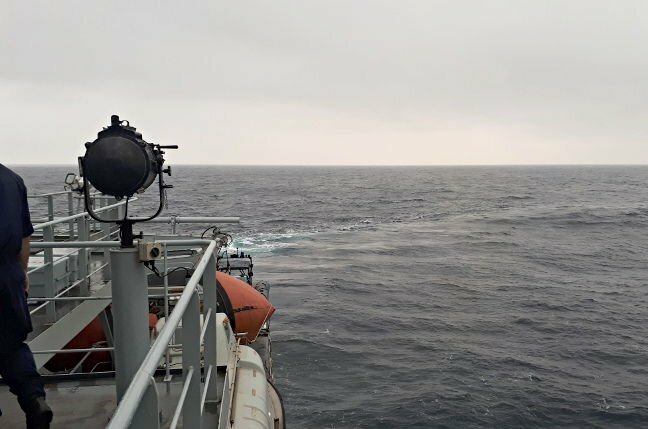 The ship also carries a sound velocity probe, which is winched out of her Baltic Room and lowered until it is just above the seabed, with operators taking readings at intervals of what the hydrographers call the water column, which is the area of water directly beneath Enterprise. A straightforward affair in the calm seas of an early Arctic afternoon – if it's too choppy then the device cannot be deployed. When surveying a particular piece of the ocean, Enterprise's crew works out survey lines for the ship to follow. She then sails up and down those lines with the sonar switched on, having first ensured no marine wildlife is nearby that would be distressed by the sonar. Thanks to physics, "the deeper the seabed, the more coverage you get". At its simplest, seabed sonar works by transmitting a sonar pulse from the unit slung below Enterprise's hull. The sound wave reflected from the seabed is received by the unit, meaning you can work out the depth from the time taken for the wave to reach the seabed and return to the ship. So far, so simple: the speed of sound in water is 1,500m/s, as Cdr Harper told me. It gets more complex when you consider the physics of sea water. Unlike your bath, the sea is not homogenous; it is salty, some areas more so than others, and its temperature varies. "Have you heard of the afternoon effect?" asked Cdr Harper, going on to explain that during the Second World War, naval analysts noticed that many fewer enemy submarines were detected in afternoons when compared to mornings. This is because the sun heats the upper few metres of the sea. At the point where that heating effect ends, you get a change in water density. That also causes a change in the speed of sound through the water, which refracts the sonar's sound waves in a slightly different direction. Instead of tracing a nice straight line from seabed and back, the sound waves emitted by the sonar bend at that density change point, like how a straw in a half-full glass of water looks "bent". In turn, that means you need a computer and software which can calculate precisely how much those waves have bent. Coleman-Smith described the "tidal stream data, DGPS, temperatures, salinity" and more that Enterprise's systems take into account when figuring that out. Doing that needs a fair amount of computing grunt available: while the ship's onboard IT runs a motley collection of early 2000s operating systems, your correspondent noted one of the survey department's data-crunching machines had a whopping 128GB of RAM available to it. Cdr Harper said: "It's nearly terabytes we are looking at uploading now. Back in 2012 we were sending off one or two hard drives of up to a GB each." Just to make sure, when surveying, Enterprise doubles up on each survey line ("200 per cent coverage," said Coleman-Smith) in order to gather the best available data for her surveyors to tease out the anomalies. Thanks to her differential GPS fit, the ship can achieve a positional accuracy of 20cm, sailing at speeds of 6-8 knots (nautical mph). While all the data processing gear is highly technological, Coleman-Smith is philosophical about the future being automated and free from humans. "I can't see in my time it needs fully replacing. You still need to program the missions and you still need to download it when the craft return. As surveyors, our autonomous underwater vehicles do not give us that accuracy we need because they don't take a GPS reading with them." He stood, rooted to the floor of the survey chart room as the ship rolled over a wave like an elephant getting out of bed, sending both a chair and your correspondent flying from one end of the compartment to the other. "You'll still need people there." Not all the seabed surveying is about finding underwater mountains, though. Coleman-Smith told us that in 2012 "I found a landing craft down there" in Weymouth harbour, which meant "we had to raise a notice to mariners" warning sailors not to sail over that spot or drop anchor on it. He added: "You've got HMS Hood [the First World War era vessel] down there, she was sunk deliberately to block entrances." It's a broad and varied job, charting the oceans - and definitely not the sort of thing you normally associate with the term "warship". can operate in polar regions. "A dream vessel" is what Joana Xavier, a sponge expert at the University of Porto in Portugal, calls a new research ship due to launch in 2021. 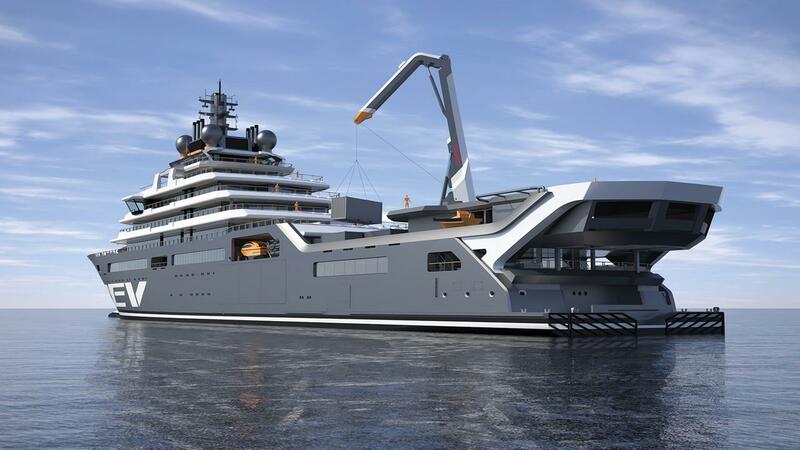 Funded by a Norwegian billionaire, the 183-meter-long Research Expedition Vessel (REV) will be the largest such ship ever built, more than twice the length of most rivals. Engineered to endure polar ice, punishing weather, and around-the-world voyages, the REV will not only be big and tough, but packed with top-of-the-line research gear—and luxurious accommodations. 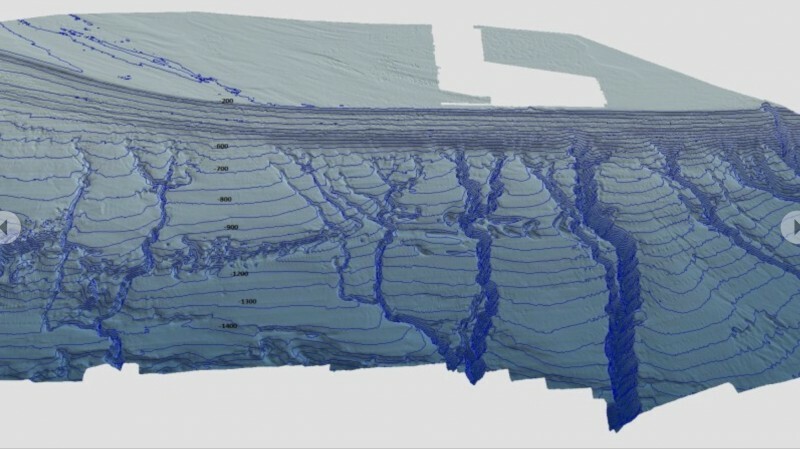 Its full capabilities were detailed for the first time last week at a meeting on deep-sea exploration at The Royal Society in London. The $350 million ship, under construction in a Black Sea shipyard in Romania, is owned by Kjell Inge Røkke, 60, who made his fortune in fishing, offshore oil, and other marine industries. 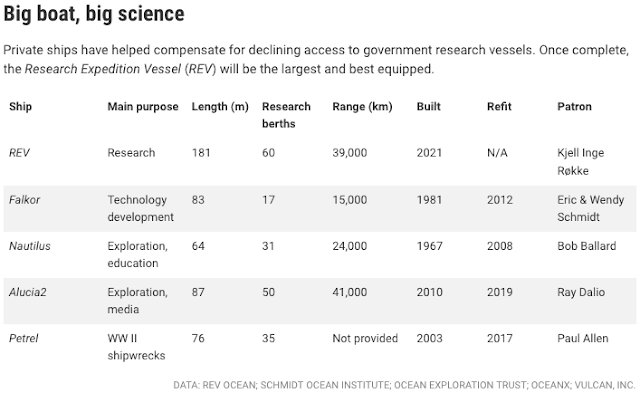 In October, he promised an additional $150 million to REV Ocean in Fornebu, Norway, to operate the ship for at least 3 years, giving scientists free access. Røkke started the foundation last year to find solutions to climate change, ocean acidification, overfishing, and marine pollution. 182m Espen Oeino-designed, developed by VARD. Exploration 60 scientists and 40 crew, charterer 36 guests and a crew of 54, 16,000GT, beam 22m, maximum speed 17 knots, range 21,120 nautical miles at 11 knots, up to 114 days full autonomy with a 90 passengers. 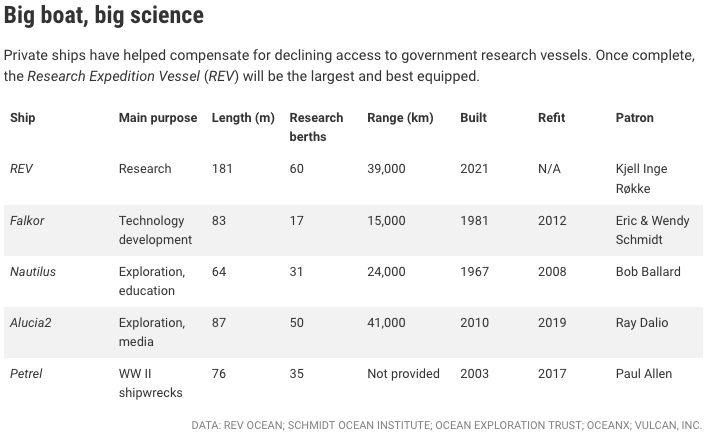 Many national research fleets are aging and shrinking. Since 2005, for example, the U.S. academic fleet has declined from 27 vessels to 18, and by 2025 it will it drop to 16 ships. As a result, marine scientists can face long waits for ship time. "If I want to know what's happening in a particular place, it might not work out within a decade," says Antje Boetius, an oceanographer and director of the Alfred Wegener Institute in Bremerhaven, Germany. Philanthropists have launched several vessels to help shorten the queue, but few are dedicated to research, and all are dwarfed by the REV. It offers room for 60 researchers and large areas for science and engineering. It will have trawls for capturing marine life and a remotely operated vehicle (ROV) for on-the-spot observations, a rare combination, and much else. "The idea that all the assets are on the ship, and you can pick and choose, that is tremendous," says Ajit Subramaniam, a microbial oceanographer at the Lamont-Doherty Earth Observatory of Columbia University. 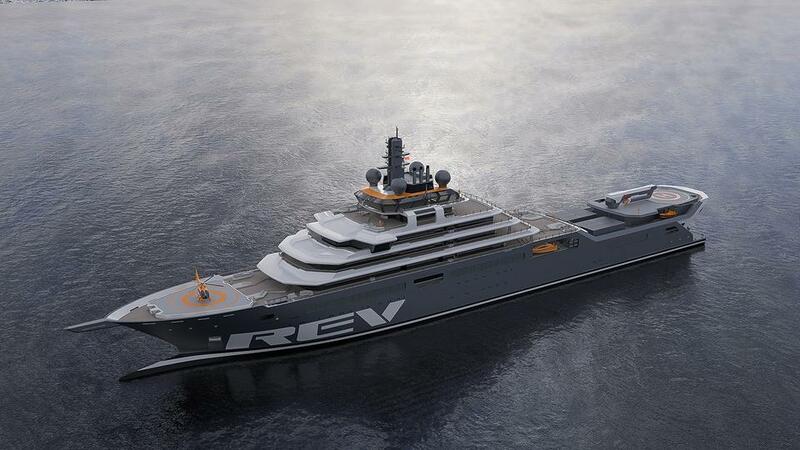 The ROV, capable of 6000-meter descents, can be launched through large side doors or a moon pool in the hull. A pair of ship-borne helicopters can release smaller autonomous underwater vehicles (AUVs), which don't need tethers to the main vessel. "Think of it as an aircraft carrier for robotics," says Chris German, a marine geochemist at Woods Hole Oceanographic Institution in Massachusetts. The REV will also have a crewed submersible, probably one capable of descending 2000 meters. The main trawl, designed by Røkke's company Aker BioMarine for harvesting krill in the Southern Ocean, can remain 3000 meters deep while funneling fish to a tube that quickly pumps them up to the ship's wet labs. This offers the tantalizing possibility of collecting jellyfish and other soft organisms that normally don't survive the slow trip to the surface when the trawl is winched up, opening a porthole into marine food webs. "If the gear can sample with less damage, this would really help," says biological oceanographer Xabier Irigoien, science director of AZTI, a nonprofit institute for marine research in Pasaia, Spain. The REV could also make a significant contribution to understanding fisheries on the high seas, Irigoien adds. The intergovernmental organizations that regulate fishing beyond national jurisdictions don't own ships and can rarely afford to pay for time. Free access to the REV could help scientists fill the gaps. They might be able to track tagged tuna or sharks with AUVs, for instance, while sizing up schools of fish with the ship's high-tech sonar. By combining data from the trawl and sonar, Irigoien says, researchers could chart potential fisheries in the deep sea before they're exploited. The same technologies would be useful for investigating far-flung marine protected areas. Most research vessels are spartan, but on the REV scientists will have nearly full run of the ship, including its lounges, gym, dining room, and seven-story atrium. Magne Furuholmen, an artist and former keyboardist of 1980s pop group A-ha, is choosing the art collection. The REV is also eco-friendly: It's fuel efficient with low emissions and a broad, stable hull designed to reduce noise pollution. If it encounters a garbage patch, booms can collect up to 5 tons a day of plastic to incinerate onboard for energy. Alex Rogers, an oceanographer at the University of Oxford in the United Kingdom, starts next month as the full-time science director for REV Ocean. He says scheduling an expedition on the REV could be quicker and more flexible than on government research vessels, which are sometimes limited by range, budget, or scientific focus. On the other hand, working with philanthropists is not like dealing with a research funding agency. "You have to explain what you're doing," Rogers says. "Be prepared to communicate with them." Røkke's history could raise concerns about hidden agendas. "I think there will always be some level of suspicion from the public that a person like Røkke—who made a fortune in ocean industries—that somehow there are strings attached," Rogers admits. So he is working with the Research Council of Norway to design an independent review process that will select projects for ship time. Rogers says the only expectation is that researchers focus on solutions and share their data after they publish. "If Alex is involved, I have faith," says Kerry Howell, a deep-sea ecologist at the University of Plymouth in the United Kingdom. "He's not the kind of person who would work for the dark side." As for Røkke, he has no plans to run the foundation and is "very meticulous about this being fully independent and objective," says Nina Jensen, CEO of REV Ocean. "He is serious about making a difference for the oceans." Jensen, who studied marine biology and previously led the environmental advocacy group WWF Norway , says she told Røkke she will resign if one of his companies, Aker BP, drills for oil in Norway's Lofoten islands, which boast rich fisheries and the largest known deep-water coral reefs. To help cover the costs of operation, for 4 months a year the REV will open 60% of its berths on research expeditions to paying eco-tourists. For another 4 months, the entire ship will be available as a luxury yacht. Jensen hopes benefactors will charter it as a "floating think tank" to win more support for ocean protection. Any extra funds raised will go to support early-career scientists. It's an unproven model, Jensen concedes, but the REV won't sink or float on its fundraising prowess. Røkke's pledge last month to support operations was only his first, Jensen says. "It will not be the last." almost all of South America is farther east than North America. These are some of the most common geographic misconceptions that are both surprising and surprisingly hard to correct. Most of us have a rough map of the world in our minds that we use any time we think about places. But these mental maps aren’t necessarily reliable. In fact, many of the maps in our heads share the same errors, some of which are quite large—and surprisingly resistant to correction. For instance, we all know that South America is south of North America, of course. But you may be surprised by the fact that virtually the entire South American continent is east of Florida. There are lots of possible reasons for geographical misconceptions like this one, says cartographer John Nelson. Mental maps are necessarily simplifications, and Nelson suspects the misplaced Americas may be partly a result of their names. After all, it’s not called Southeast America. Nelson’s father, who was a geography professor at Central Michigan University, wrote a paper about geographical misconceptions in 1992 with some of his colleagues and input from Nelson’s mother, a high-school geography teacher. “I actually remember them talking about this research paper over dinners when I was younger,” Nelson says. He recently revisited the paper and put together a story map that highlights three common misplacements mentioned in the paper, including the true longitudinal relationship between the Americas. Most of Africa is north of the equator, though on many mental maps it is mostly in the southern hemisphere directly across the Atlantic from South America. Another commonly misplaced continent is Africa. North Americans tend to think of Africa as a located almost entirely in the southern hemisphere, similar to South America. But in reality, around two-thirds of Africa is north of the equator. “Africa actually extends northward to about the same latitude as Norfolk, Virginia,” the paper’s authors write. Europe is also often placed much farther south on mental maps than it really is, appearing directly across the Atlantic from the contiguous United States. But it actually lines up better with Canada: Paris is further north than Montreal, Barcelona is at a similar latitude as Chicago, and Venice lines up with Portland, Oregon. Nelson suspects that climate might play a role in this misconception. Western Europe is relatively warm for its latitude thanks to the Gulf Stream, which brings warmer water from the Gulf of Mexico across the Atlantic and gives Europe its so-called Mediterranean climate. The warmer temperatures are more similar to the climate of the lower 48 states than Canada’s. Many people think of Europe as sitting directly across the Atlantic Ocean from the United States, when it is actually farther to the north. Venice, Italy is at the same latitude as Minneapolis, Minn.
as shown by the dotted line on this map. People also tend to keep their mental maps simple by aligning them with the four cardinal directions, according to the paper’s authors. So it’s easier for North Americans to think of Europe as due west and South America as due south. Locations aren’t the only way our mental maps can be wrong; we also have misconceptions about the relative size of things. This may be due in part to the nature of two-dimensional maps. Flattening a three-dimensional globe onto a flat surface isn’t possible without some distortion. This is especially obvious for maps that use certain projections—ways of representing the Earth’s curved surface on a flat map—such as the popular Mercator projection, which could be found on many 20th-century classroom walls. This 1912 map uses the Mercator projection, which inflates the size of land near the poles such that Greenland appears to be the same size as South America when in fact it is only one-eighth as big. Mercator maps distort the shape and relative size of continents, particularly near the poles. This is why Greenland appears to be similar in size to all of South America on Mercator maps, when in fact South America is more than eight times larger than Greenland. While you may have already been aware of Greenland’s extreme exaggeration on some maps, other inconsistencies are more surprising. For example, Brazil isn’t that impressive on many maps, but in reality it’s bigger than the entire contiguous United States and almost as large as Canada. And Alaska, which is a giant on Mercator maps, is actually a little smaller than Libya. The popular Mercator projection distorts the relative size of landmasses, exaggerating the size of land near the poles as compared to areas near the equator. This map shows that in reality, Brazil is almost as large as Canada, even though it appears to be much smaller on Mercator maps. Thinking about the world in two-dimensions also distorts our ideas about how to get from one place to another, says geographer Anthony Robinson of Penn State University. If you draw a line on a flat map from Washington D.C.
to Shanghai, China, the most direct route appears to be due west over the United States and the Pacific Ocean. But Robinson says he’s been on plenty of flights to Asia where people are surprised to hear the pilot say they’ll be flying over the North Pole. When looking at a globe instead of a flat map, it makes sense. “That's far and away the shortest way to get there,” Robinson says. None of these geographic misconceptions would be surprising for a student to have on the first day of geography class, but even once we’ve learned the truth, the errors on our mental maps tend to persist. One reason for this may be that our conceptions of the world are basically summaries of the geography, says cartographer Dylan Moriarty, who is an interactive designer at the Wall Street Journal. The mental map is a simplification, similar to the the subway map of New York City, he says. Our mental maps are usually simplifications of the actual geography and locations of things relative to each other, much like the New York City subway map is. Our physical experience of the world may come into play as well, Robinson says. Whatever the reason, these mental map errors are so pervasive and stubborn that even professionals have them. A 1985 study of mental world maps found that geographers had the same misconceptions of the relative latitude of cities in North America and Europe as everyone else. The “eastiness” of South America still surprises Nelson sometimes. “I really have to look again at a map and be like, is that really the case?” he says. 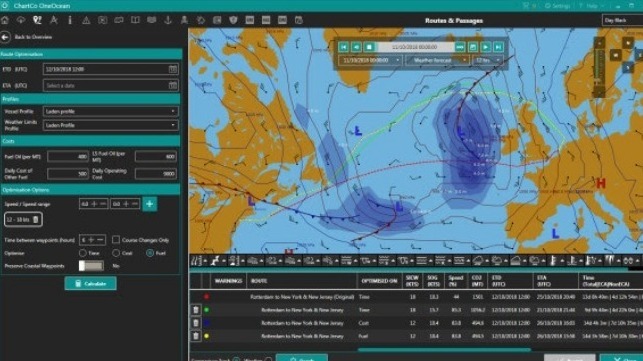 This past September, StormGeo announced its acquisition of Nautisk — a leading supplier of maritime charts and publications. By allowing us to integrate our routing and weather services with state-of-the-art charts and publications, this move pushes our company full-speed into the future of shipping technology. It has also made me think about how ship routing will look in years to come, and how it will likely be delivered in a very different way than it is today. Ships will be much more digitally connected with increasing access to high-speed internet. This will allow route suggestions to be delivered in a format that the Master can accept directly into the ECDIS (Electronic Chart Display and Information System), rather than having to load them manually. This is why we’re moving towards integrating all routing services more tightly with voyage planning and route transfer directly to ECDIS. At present, a Master using BVS (Bon Voyage System) can send a route from the ship to our operations center. We then evaluate it and pass a route back to the Master’s BVS. In the future, much more complicated route plans could be passed back and forth addressing any number of weather or environmental concerns. The improved quality of communications, sea-keeping data and weather data will allow for lower operating expenses as ships run more efficiently. Given that the future of shipping will include a number of ships operated from shore as well as fully autonomous ships, I foresee routing information often being delivered to a shore-side operations facility rather than the vessel itself. For those that continue to have a crew on board, information could be projected onto the bridge windows in a type of 3-D overlay, which would enhance situational awareness. While vessel motion sensor technology is continuously improving, it is likely that ship routing systems will be able to take this data and provide more precise recommendations to the Master (on board or on shore) regarding vessel motions. Having more precise vessel motion data helps to ensure the utmost in crew, ship and cargo safety. In addition to the sensors mentioned above, there will also be engine sensors that report on all engineering systems and the cargo on board. These sensors and the data they send can allow for optimized heating/cooling of cargo, engage or disengage the shaft generator, and make changes in the heading and speed of the ship. 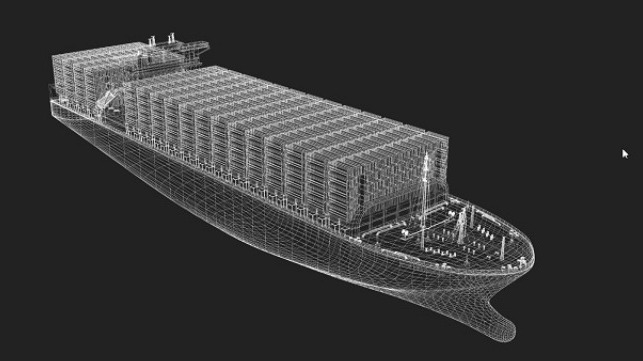 The latter will reduce sloshing for liquid gas carriers and reduce the risk of parametric rolling for container ships. Beyond sensors, there will be tools on board the ship and in the shore-side operations centers to better manage constant power, which, when properly implemented, has a profound impact on fuel efficiency. This, of course, is a service we provide today but it is subject to certain human factors on board the ship that limit the efficacy. Where Will Autonomous Ships Be Utilized? 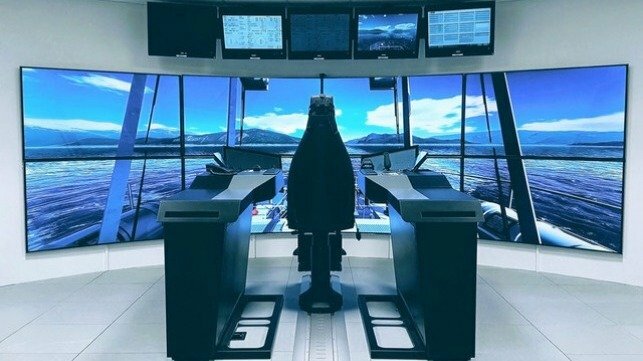 There are significant safety and economic reasons to move towards semi-autonomous shipping, which for me, refers to ships that will have a crew operating the navigation and engineering functions from a shore-side operations center. From a safety perspective, I foresee shore-side operators working with extremely sophisticated tools that will continuously check decisions and thus reduce human error. Some are predicting the advent of remotely operated vessels by as early as 2020. While it may be an industry norm to have fully autonomous ships in 2030, I expect they will still be very much the minority. I believe these ships will mainly operate in lower traffic areas and on short voyages of four to five days or less. It’s important to note, however, that in 2016, shorter voyages made up close to 60 percent of the total maritime transport of goods to and from the main EU ports. So these ships may actually be in great demand. Despite all this, there is one area where not much will change: the need for recommended routes. It will take much larger leaps in technology to develop a ship capable of sailing through any weather. A vessel capable of withstanding the heaviest weather Mother Nature can produce would not be effective in carrying cargo or passengers. With the innovation within sensors, new ship designs and improved shore to vessel communication, solutions for the industry are becoming more ship-specific. 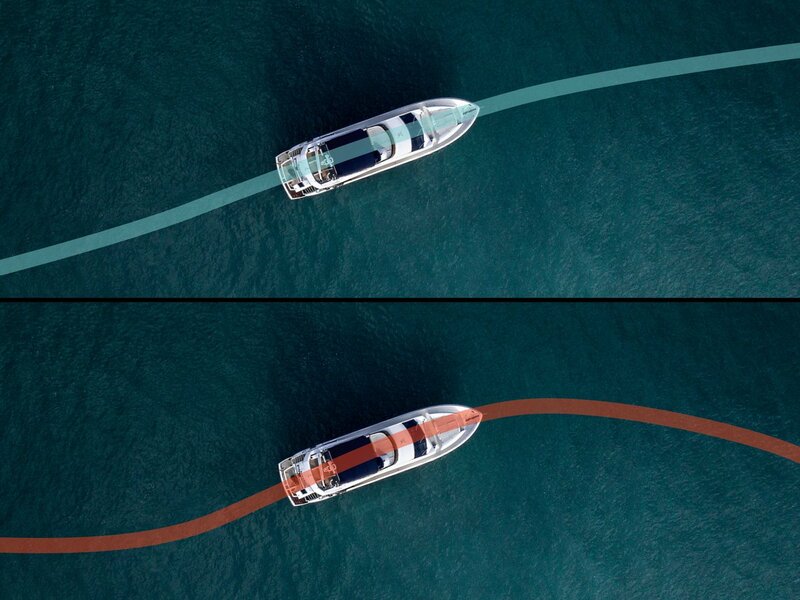 From vessel-specific hull curves to the capture and use of vessel-specific sensor data, solutions will be more customized than ever before. Companies using these tools will be able to precisely recommend the main engine load and RPM’s to achieve a superior level of fuel efficiency. Whatever the future, StormGeo will always keep an eye on what lies ahead, while continuing to employ lessons learned from decades of supporting ships along safe and economic routes. How the ARA San Juan was ultimately found? Argentine Navy Captain Enrique Balbi presents images from the wreck of the submarine ARA SanJuan. Pressure hull imploded with bow section, sail and propeller torn off. It is with a sense of a little relief but also deep sadness to learn today that the ARA San Juan submarine missing for a year was finally located. 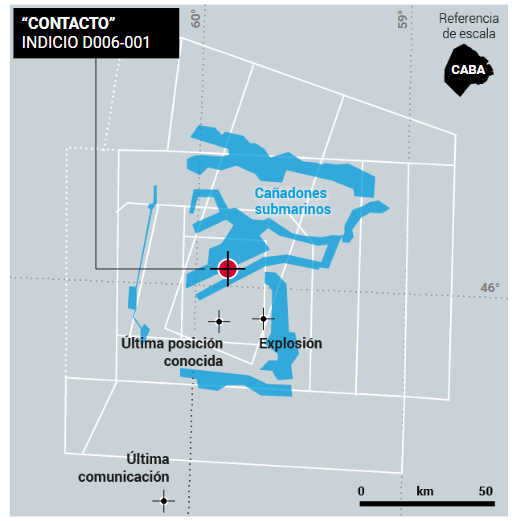 On 23 Nov, the Argentine Navy released the tragic news of the loss of the submarine, where it confirmed a "singular, abnormal, short, violent & non-nuclear event" consistent with an explosion, took place on 15th November. Ocean Infinity signed a $7.5 million contract with the government to search for the vessel for at least 60 days. However, the company would only receive the money if the San Juan ARA was found. 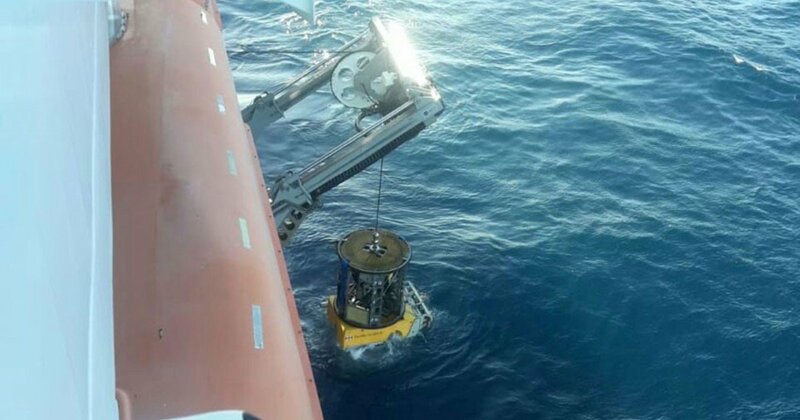 The ‘Seabed Constructor’ contracted by the Argentine government located the submarine after an extensive and exhaustive detailed search of two areas off the Patagonian coast. to investigate with ROV point of interest POI #24. 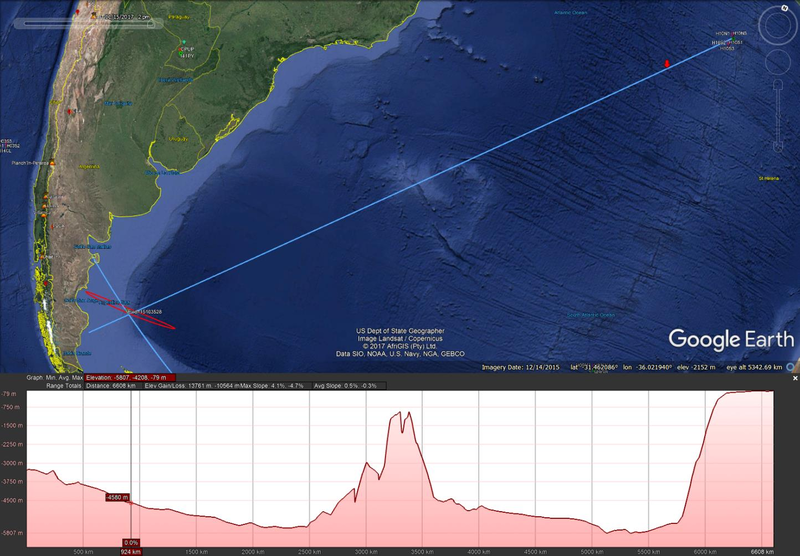 Hydroacoustic stations HA10 (Ascension Island) and HA04 (Crozet) detected a signal from an underwater impulsive event that occurred at 13:51 GMT on 15 November 2017. 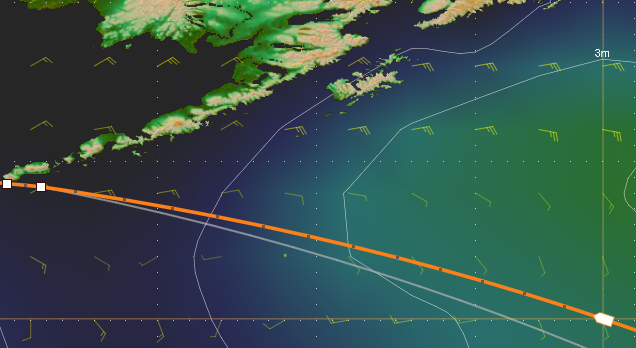 The location of the event is as follows: Event Latitude: -46.12 deg; Event Longitude: -59.69 deg which is in the vicinity of the last known location of the ARA San Juan. 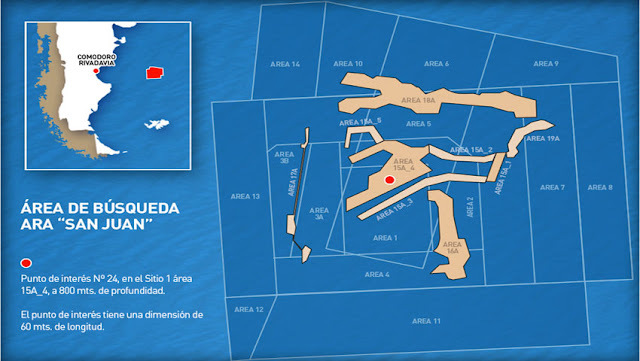 Today we can know that there is a difference of between 15 and 18 kilometers between the place where the explosion was detected and the place where ARA San Juan was found. 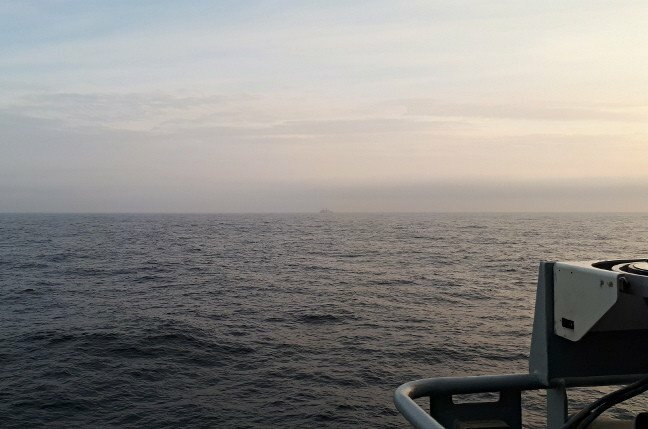 Last year, numerous ships with various search capabilities crisscrossed a huge swath of the seabed, as determined by the last reported position of the submarine and also acoustics findings reported by the CTBTO. As I remarked last year, these are just the AIS tracks of ships involved. There were other ships who weren’t on AIS, such as some of the other participating search support Argentine Navy ships (ARA La Argentina, ARA Robinson, ARA Sarandí, ARA Puerto Argentino). A couple of months later the ‘Yantar’ Russian vessel also covered again a lot of the search area. But the submarine fell 300 to 400 meters after imploding and landed on the upper wall of a canyon. So even Yantar didn’t see it. Here a roll of honour for the ships involved in the prolonged initial search phase from November 2017 to end of December 2017. Several of these ships also continued their search into the first quarter of 2018. The series of initial searches were ultimately inconclusive. Subsequently, the Argentinian authorities took the decision to resume the search for the submarine in late October following the signing of a "no cure no fee basis" contract with the company Ocean Infinity. How was the search done? by detailed profiling multi-beam sonar array (combined with side scan either with an AUV or on a ‘sledge’ towed astern of mothership). Verification is done by sending down an ROV for visual inspection of the object. 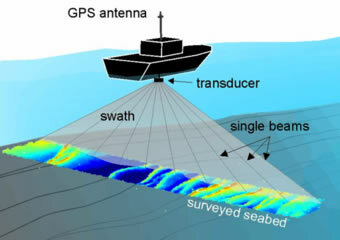 Multi-beam sonar- (MBES) a ship equipped with this type of sonar will travel along certain tracks, (called mowing the lawn), to survey a band of the seabed. The ship sends out multiple ‘sonar’ pings that go down to the seabed at all different angles (fan-shaped pattern). 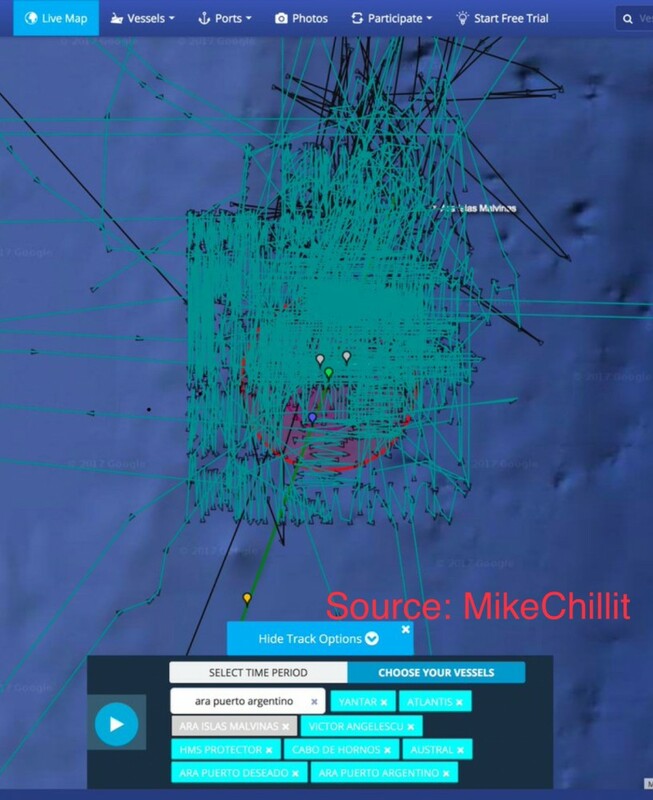 Each individual ping is returned back up as backscatter and they are received back onboard. The returned echoes are thus recorded as a function of time. The approximate result is shown in the image. As the ship gradually moves forward, an image (a sort of 'scan') of the morphology of the sea floor is obtained and objects that stand out (in this case side-scan imagery of 2 sunken Chinese fishing boats). Essentially it is a continuous band of individual backscattered returns (swath) of depth soundings. However, due to the distance between a ship and the sea floor, the resolution of the sonar ‘beams’ returned are hampered (limited) for various reasons and there is also 'noise' that affects the sonar data. 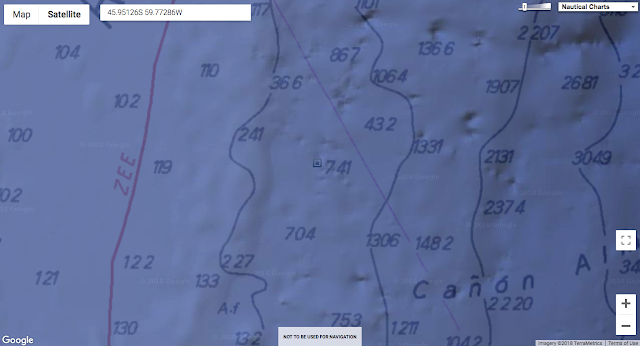 So, to get a finer resolution, especially in areas of complex sea floor morphology, (as it is the case of the ARA San Juan location), surveys 'scans' closer to the sea-floor are needed. 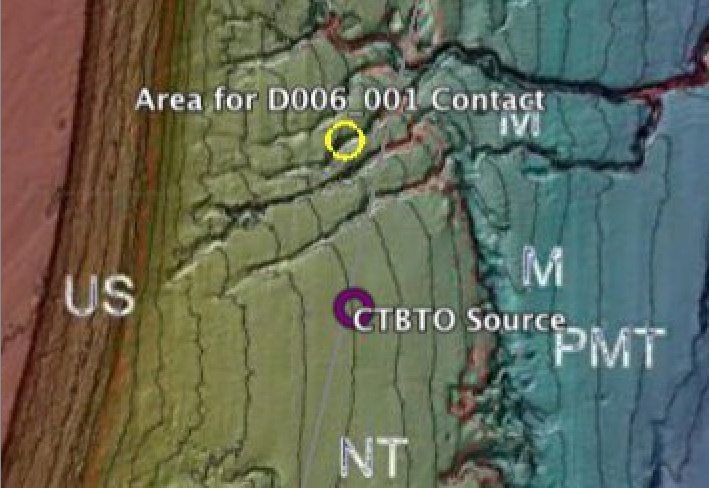 The seabed profile of the search area is complex: from a fairly flat continental shelf (top of image) that drops down, with numerous ravines, (gullies / canyons). Profile of sea-floor in search area. Hence, the use of autonomous underwater vehicle (AUV or UUV) that are able to ‘fly’ closer to the seabed. For even more finer resolution scan and collecting images, a remotely operated vehicle (ROV) can be used. The AUV also sends out the same kind of sonar pings, but the data obtained is of much higher resolution. This data is received on the mothership and it is also sent over to shore-side experts for post-processing. Thus, specific aspects of the sea floor can then be looked at in greater detail. 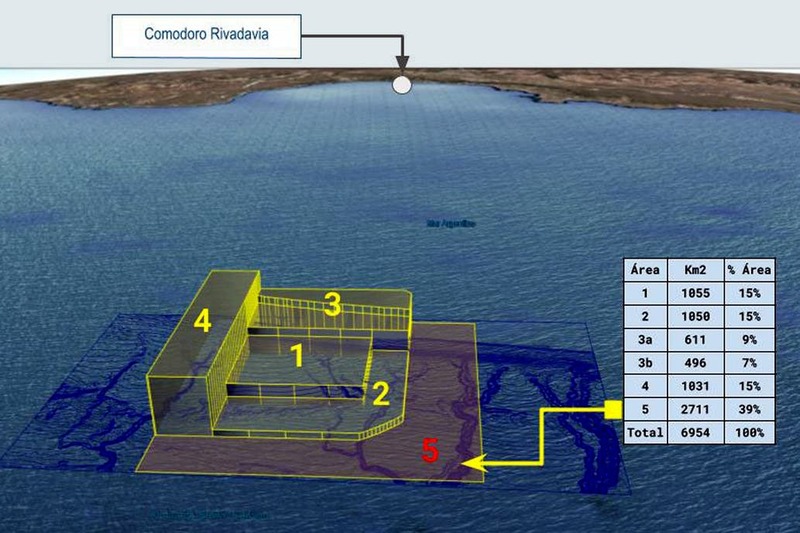 This process is required to obtain the desired mapping product, (in this case to identify a "Points of Interest" for subsequent ROV close-up inspections). 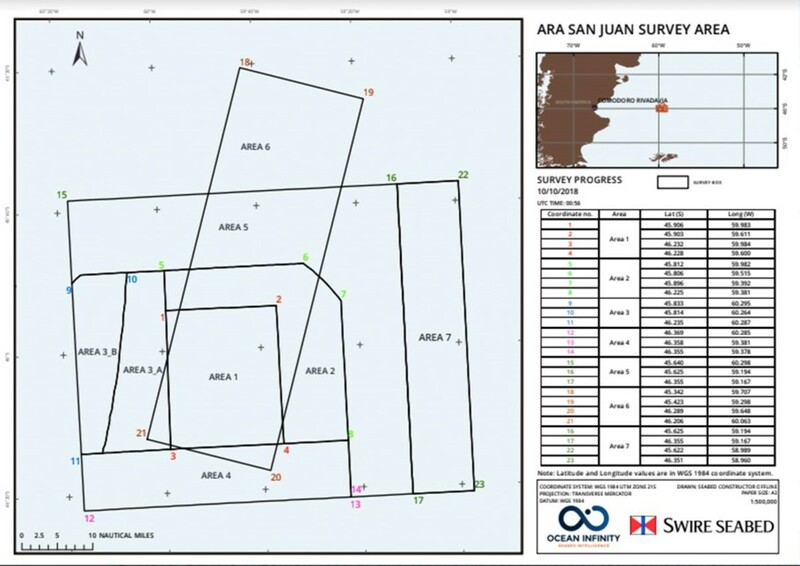 The AUVs used in the search for the ARA San Juan had both side-scan and multi-beam bathymetric sonar. This is was what the ‘Seabed Constructor’ doing for several months. 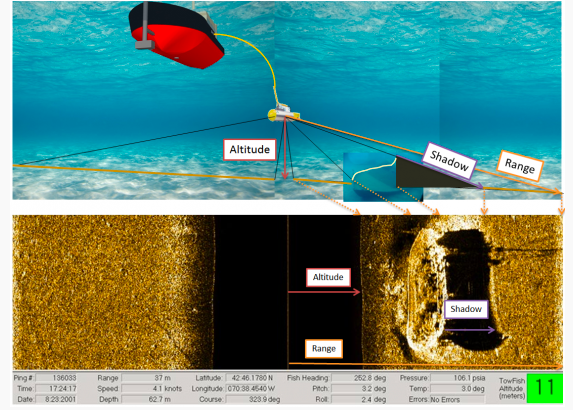 Side-scan Sonar literally scans a wide swath of the sea-floor as shown in the picture (with a towed sledge unit). Side-Scan Sonar is an (almost) continuous signal, whereas MBES is not so quite continuous because it is consists of one backscatter value per beam. @Armada_Arg's images of PoI D006_001 in ARA SanJuan search show something very reflective & the AUV has imaged it with side scan sonar (SSS) from both sides. The two SSS views are shown side-by-side. 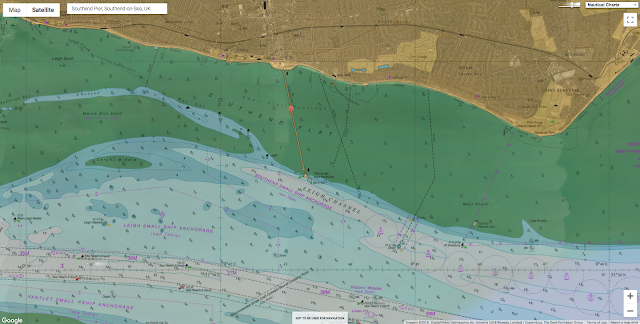 The SMF bathymetry image shows the approximate position & depth for ARA San Juan. 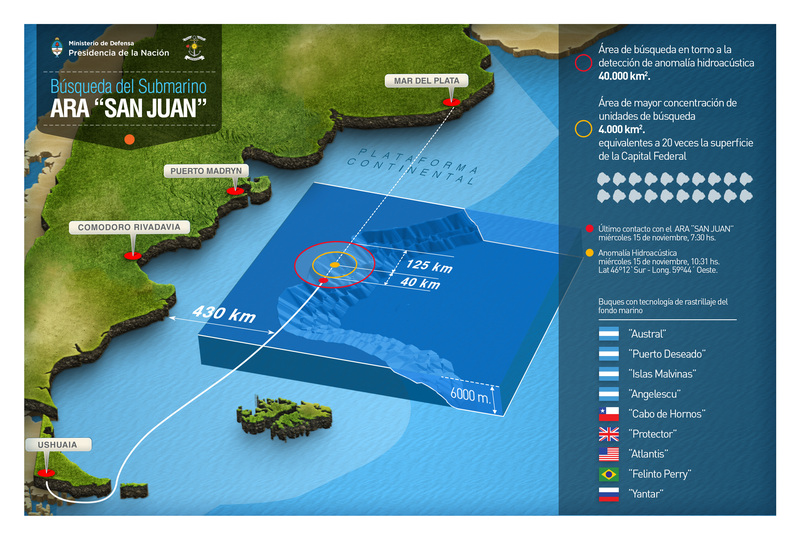 The navy said Saturday that the ARA San Juan was located at a depth of 907 meters (2,975 feet). Authorities said the vessel was sitting in a canyon, and that its depth and location were among the reasons it had not been found during an earlier search of the area. The submarine’s location at the bottom of the rugged ocean floor is in the same area where a multinational operation that included the U.S. and 16 other nations had scoured last year after the vessel disappeared. 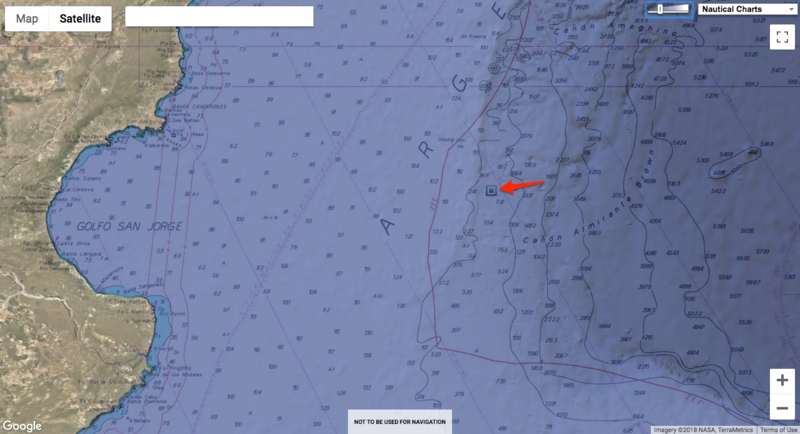 All of the ships passed through this zone, including the Argentine navy, and never detected anything. 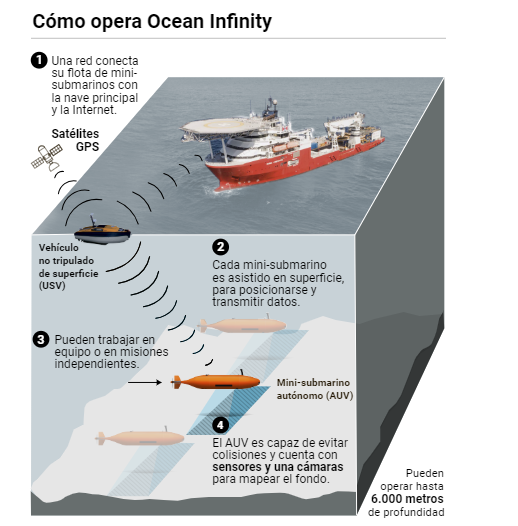 This combination of technology is not only used to search for wrecks, but it is also used in the marine biology, offshore industry and geophysical fields. 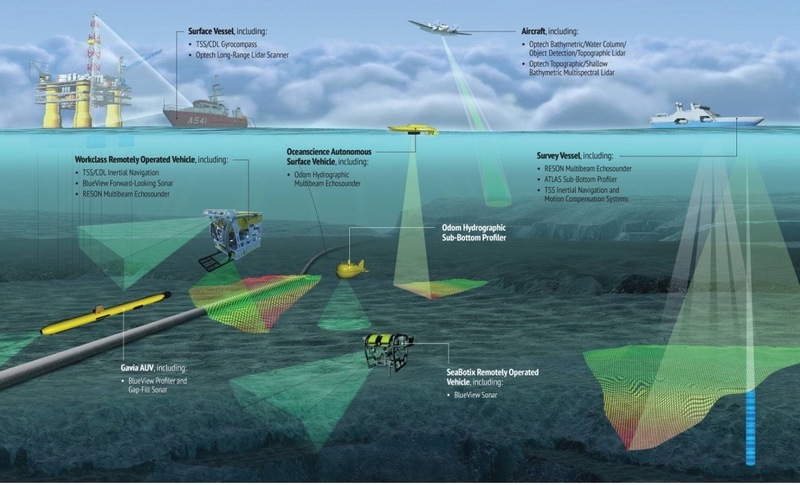 It is of interest to note that only about 15% of the world’s seas and oceans have been surveyed with multi-beam sonar systems.